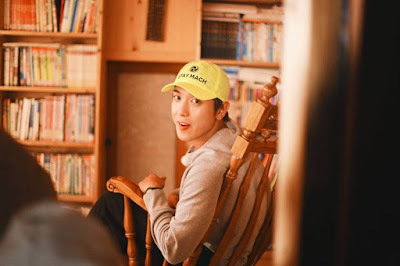 You know, CNBLUE's Jung Yonghwa is currently appearing in tvN's "Island Trio". He's doing really good. He's getting along with co-stars, famous comedian Kang Hodong and actress Kim Heesun, and he provokes laughter from viewers with his witty jokes. So, the producer of "Island Trio" recently praised highly on how the idol star is doing in the program. Check out what the producer talked about Jung Yonghwa. Jung Yonghwa is the one who backs up all the cast members. Even though Kang Hodong is much older than him and Kim Heesun is a very famous actress, Jung Yonghwa is always feisty. He's very affectionate both of them. He has a great sense, and he has very good chemistry with Kang Hodong and Kim Heesun. He has his own charm, and I'm sure no one can replace him. You know, he has to manage a series of tight schedules as a famous idol star, and it seems that he really enjoys his life on the island.